Are clouds just a trendy thing or enough said mainstream and service? What needs do clouds address? All these including what the services comprise and how Ukrainian companies utilize them we discussed with GigaCloud, the member-company of Lviv IT Cluster. To get to the meat of the service, we should regard it from two perspectives: a Client and a Provider. “Clients perspective is that these are services intended to simplify the life of the users. A mere decade ago, big companies built their own data centres, procured hardware and hired staff to maintain them. Today, these services are within the reach. Moreover, a company of any size, whether large, medium or small, can find what suits its business best”, Anton Khvastunov, Business Manager of GigaGroup and Co-Founder of GigaCloud, told us. Let us assume you decided to start a store. Apparently, you think of every inch of your business: a product you want to sell, a customer who might be interested in your product and a place where you want to open the store. You easily cope with selecting a product and identifying your target audience, but you don’t need to build the building to open the store there. Isn’t it better to take a tour around shopping malls and find what you need? The cloud story goes the same way: clients shouldn’t be bothered with issues like where IT systems are accommodated but should focus on their business. This is how outsourcing IT functions work in hands of a reliable and experienced provider. A cloud operator is a service provider. Thuswise, the operator is supposed to provide services as requested including the scope, quality, and timing. The operator bears responsibility for the efficiency of its facilities, and the quality of services provided. Meaning, the operator purchases the hardware (such as data storage systems and servers) and installs it in the data center. Through virtualization technology, the operator constructs one single system based on the facilities available and subsequently distributes its capacity to the clients’ virtual machines. The cloud operator’s experts are responsible for building and adjusting service processes (such as sales, technical support in transferring data, settings, and client support). Technical experts of the data center maintain the facilities that constitute the body of the cloud. In addition, to deliver the service from the data center to a client, the operator needs a communications circuit. To be an operator, one doesn’t have to own a data center. 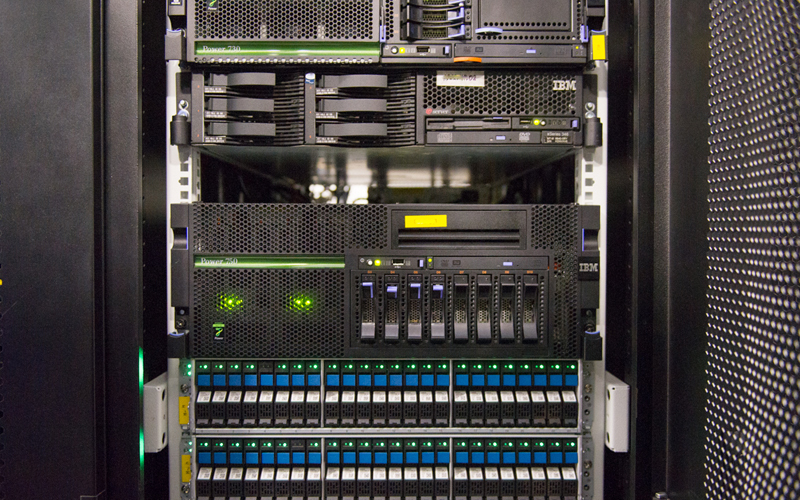 The operator can simply rent a required number of data center racks with defined levels. It’s worth remarking that coherent management of a cloud provider and data center contributes to the success. Similarly to any other business, it is always much reliable and comfortable to provide the cloud services in-house. GigaCloud comprises two rented platforms: one of each is located in Ukraine (namely, GigaCenter) and the other is based in Europe. Many cloud operators worth to trust your data are based in data centers that meet the TIER III standard (there are four qualification levels, where the IV level is the highest). What exactly is the TIER III data center? First of all, it’s a common data center with no more than 1.5 hours of downtime per year. Moreover, it’s a data center protected against intrusion. In fact, the allowed downtime does not imply that once a year the data center is supposed to be out of service. The standard implies the maximum allowed time the data center may be out of service. 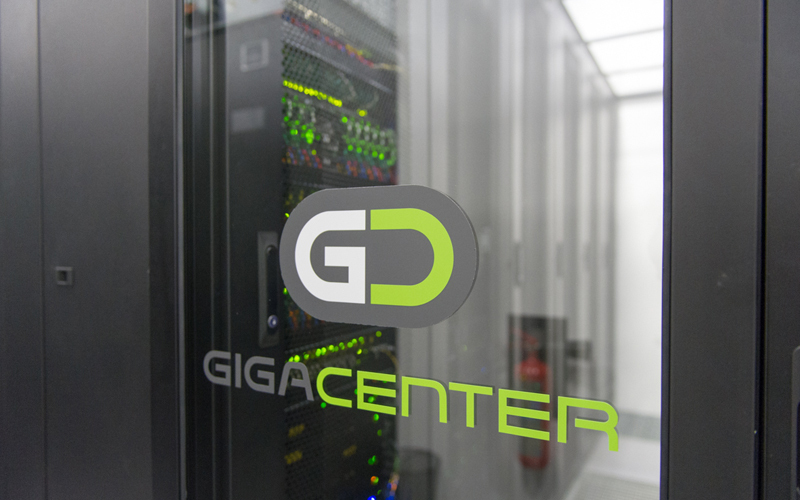 It’s worth noting that since GigaCenter’s launch in April 2014, it hasn’t had any downtimes. By doubling the infrastructure life support system (that comprise generators, input facilities, fire-fighting system, temperature, and humidity monitoring systems) the company ensures the failure safety. Security service protects the building: the entrance is equipped with a security cabin with access control and video surveillance systems, while technical support experts monitor the systems efficiency 24/7. All that is left is to provide the client with a speed connection to the cloud. In order to deliver cloud services to clients, the communications circuit should be on site and should be capable of providing the speed and the coverage of a B2B operator level. GigaCloud has a strategic partner: GigaTrans, the telecommunication provider, who owns over 800 km of the fiber optic infrastructure and over 80 technical platforms. Besides, in June another technical platform was launched in Lviv. “This allows us cooperating with operators in the region and providing access to the local point of traffic exchange. As a result, we are able to improve the data transfer speed and provide connection to the data transfer channels at any speed to GigaTrans as well as cloud clients. The fact is that we consider the Western development vector for the future: before long, we plan to launch a technical platform in Poland to be based on the LIM data center site (which is one of the most important telecommunication centers in Europe). This will help GigaTrans provide services to clients abroad and connect to foreign operators” – said Anton Khvastunov. Increasingly often, small and medium-sized companies seek services that satisfy their needs in quick solutions at reasonable costs and, which is more important, provide easy ways to such solutions. Let’s take site hosting. Retailers accommodate their stores in the clouds. That is why they need a platform to ensure stability, for example, in case of Black Friday traffic break. The cloud development principle is the business value such clients relish. The clouds comprise virtualized facilities of multiple servers, but it is not bound to any host. Each client machine is an independent component of a joint virtual pool of facilities. What is more, clients feel confident their sites don’t neighbor with anyone else on the server (which may be the case with VPS-hosting). Clouds are virtual machines. They are based on capacities of an operator. Therefore, client site incident has no impact on the cloud. The cloud-stored data stands off power failure, computer blown fuses and Windows issues caused by viruses. You can easily access your data from another device. c) Clouds cannot be seized. Since 2014, the number of unauthorized visits to companies by enforcement agencies in Ukraine has increased significantly. However, a device in your office with no data stored on it is worthless. An accountant disconnects from a service in the snap of a finger as soon as unexpected visitors knock on the door. It takes a second to protect data stores in miles away from the thick of events. Any other advantages? Remote Connection. Clouds allow arranging a remote office. It is of prime importance for a site and app developer. Web studios in Ukraine are rarely bound to local offices. Experts from all around the world working as one team in a project is a frequent occurrence. Such teams extend beyond developers. Industrial enterprises are particularly keen on remote servers where production is often geographically dispersed including remote call-center, training center and many branches. In short, these are companies with many points of presence. In addition, big sales departments may benefit from remote connection just when managers are absent, for example, but the department has to urgently process leads. Huge corporations command cloud services. They all need extensive IT infrastructure able to host several services at once. While small and medium-sized companies prefer single server, big companies roll out vast IT landscapes in clouds. Flexible cloud solutions accomplish these tasks and facilitate an unrestricted number of resources. Why do corporate clients need clouds? 1. It is a great platform to perform a backup. Since Petya virus attacks, a demand for backup has risen. In summer 2017, the virus blocked many big companies for few days. It eliminated various types of files stored locally. It crashed Windows loader record, reloaded servers and launched encryption apps. All the data was destroyed and could only be restored from the backups based outside the storage points. In fact, those points could be cloud remote platforms. 2. Clouds as platforms for restoration. Companies concerned with a 100% fail-safety of their services prefer arranging a backup disaster-proof infrastructure platform in clouds. The service presumes complete synchronization of a system operative condition with clouds and instant transfer to the backup system in case of any force majeure. A client creates their production system clone fenced off the main operating environment. The software updates can be tested if needed and even real users can be transferred to such platforms without risking the main infrastructure. Testing the environment helps select system requirements to applications. This flexibility of clouds allows users to change sizes of their infrastructure easily. It takes months to select, purchase and set servers, while cloud infrastructure is ready to be used straight after an order. In addition, the accurate estimation of system requirements decreases costs. 4.Transfer of infrastructure into the clouds and/or creation of hybrid solutions. Finally, some companies transfer all their systems into the clouds or request for hybrid IT solutions from one supplier. For example, a client may be interested not only in cloud services but may seek for the accommodation of their servers with the backup data center. Today, all the surveys favour the clouds. This year, as Gartner forecasts, a demand for cloud services may increase to USD 246.8 billion (from USD 209.2 billion). In 2018, as Forbes predicts, 50% of IT costs will fall within cloud services. Before 2020, approximately 60-70% of all costs related to software, services and technologies will belong to the cloud. “Seizure of equipment is their major fear. Their entire infrastructure is stored on disks. We know that. Thus, we created a network of three data centers based in Ukraine and EU. These solutions enable backups set on the foreign platforms, which is the iron-clad guarantee of a client data safety. By the way, despite the concerns, many clients prefer Ukrainian platform. In Lviv and Kyiv, our clients don’t regard transferring to foreign platforms as a crucial factor. Increasingly often, they agree that data center collocation + IT infrastructure transfer into the cloud is safer than office-based servers. Therefore, it is crucial to accommodate the equipment and first-rate communications circuit. In fact, if we look at alternatives to transfer of servers to data centers and connection to high-speed channels, Poland and the Baltics based solutions are not the best option. So, the question is: How to transfer 10 servers abroad? What to do with them? And there are many other issues. Fears are not the Ukrainian market specifics faced by cloud operators. American RightScale puts the lack of experience and fear of unreliability of solutions as the key clients’ concerns. In Forbes, they say that 49% of companies lag in cloud roll-up due to low awareness of cybersecurity. However, they forecast that 80% of the IT budgets will be allocated to cloud solutions in 2018. Time will show where Ukrainian market settles. However, local business does not stake solely on the foreign clouds. They trust local providers increasingly often. This means now they don’t consider the clouds only as a place to hide their business data, but rather an opportunity to develop and empower their companies.